Susan Stevens has been the remarkably successful varsity tennis coach at Beverly Hills High School since 1972 (except 1974-78), and the diminutive tennis mentor has also made a name for herself as a ranked player. In twenty-one seasons (through 1999), Susan’s BHHS Girls teams finished first in their League twelve times and second six times. From 1994 thru 1997, BHHS girls won consecutive Ocean League championships, with a combined 31-1 four-year League record. Her Beverly High Boys teams, from 1977 to 1983, never finished lower than third, winning their League twice, taking second three times, and third place twice. On the court, Susan acheived rankings of #4 in Southern California Women’s 35+ Singles and Doubles competitions. In 1981, she won the World Maccabiah Games Masters (35+) gold medal in Women’s Singles. In 1989, in the Masters 45+, she again won the gold in Singles, and the Women’s Doubles gold medal, as well. Four years later, in July, 1993, Susan added three more golds to her trophy case, winning the Maccabiah Games’ Womens’ Singles and Doubles, and the Mixed Doubles. And, in 1997, she was Manager/Coach of the U.S. 15th Maccabiah Masters tennis team. 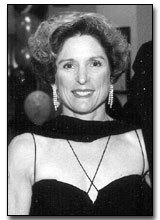 In 1995, Susan won gold medals in Masters Singles, Womens’ Doubles and Mixed Doubles at the Pan American Maccabiah Games in Buenos Aires, Argentina.